So it seems after I shared the last workout I have friends who now want to take on other challenges. Oh yes and want me to join. I meannnn I might have been trying to dodge them but I know I need to get on it. For the month of March, we started on the workout below. Day 1 I did the workout in the morning and by lunchtime my sides were hurting. I’m hanging in there but believe me pairing this workout with cardio will leave you on the mat during cooldown. I was in the gym wishing I was home laying on my living room floor so I could take a power nap. I won’t say I’m counting down the days but I am keeping track. 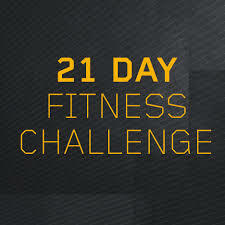 This challenge has been set for 21 days so yes you have time to join in the feel-good body aches.